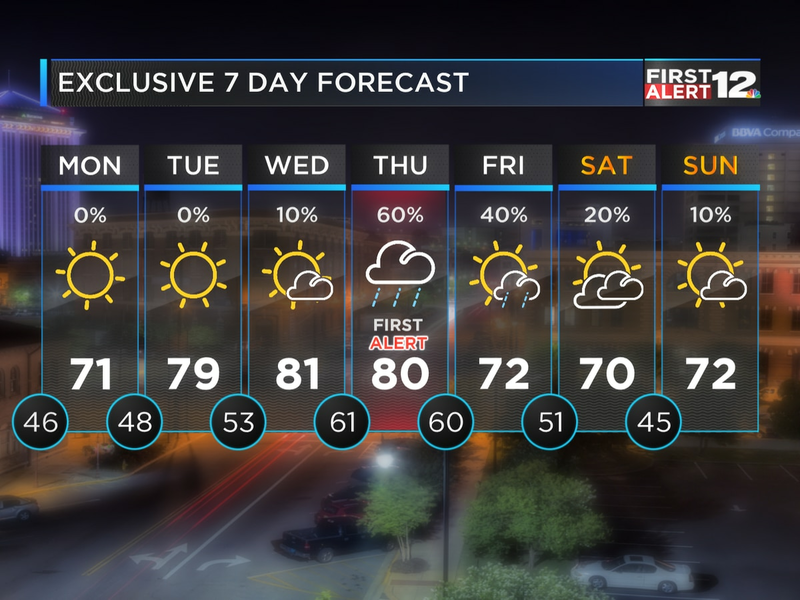 MONTGOMERY, AL (WSFA) - We hope you find a way to enjoy this weekend’s weather! It doesn’t get much better than this. Another beautiful day is in store for our Sunday with a few clouds, a bit of a breeze at times, and temperatures in the mid 70s. Skies will stay dry! Our next cold arrives Monday, bringing showers and a few storms. 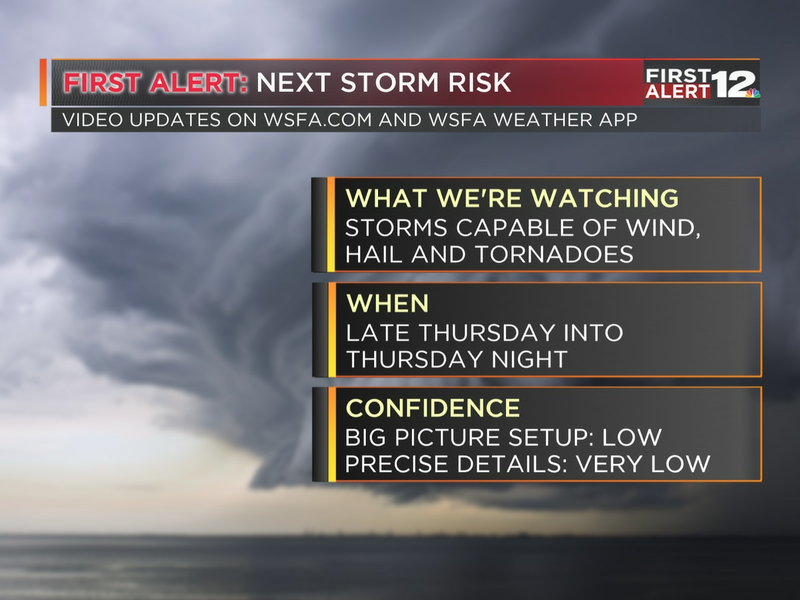 The environment doesn’t seem conducive for severe storms at this time, but we’ll mention if any strong storms do develop, they likely wouldn’t pose a threat beyond a few strong wind gusts. A random shower is possible in our eastern counties Tuesday, but most everyone will be dry and cooler by then. 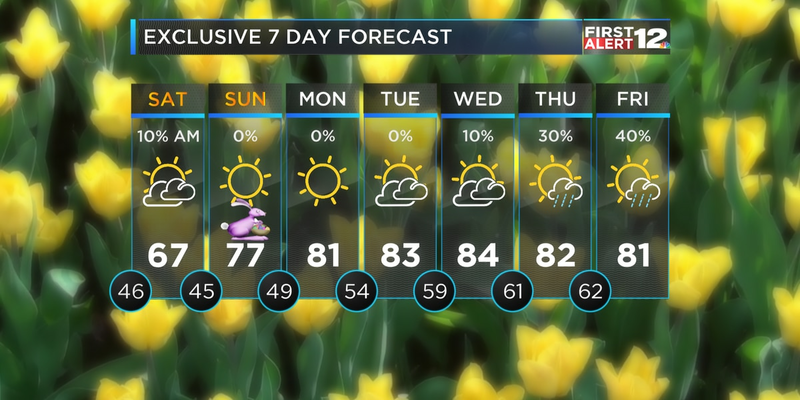 The nice weather we we’ve been experiencing will return by the middle of next week!